No other Florida candidate comes close to the type of monetary help Putnam is getting from Florida's largest private employer. The Florida supermarket giant Publix has given more money to Adam Putnam's gubernatorial bid than any other candidate since at least 1995 and likely for the entirety of the company's history. Publix, the heirs to the company's founder and its current and former leaders have given Putnam $670,000 in the last three years — or enough money to buy 74,527 chicken tender subs. No other Florida candidate has ever come close to that kind of subsidy from Florida's largest Fortune 500 company. Its most recent contribution, a $100,000 donation on April 30, was the largest, too, according to the latest campaign finance filings. The employee-owned company has also helped bankroll a handful of well-connected business groups who have contributed millions of dollars to the Republican candidate. Putnam, like Publix, is a product of Polk County. He hails from Bartow, just 20 minutes from Publix's headquarters in Lakeland — which company officials say is a factor in their support for him. "As the hometown candidate, Publix has had a long-standing relationship with Commissioner Putnam," spokesman Brian West said. "We support pro-business candidates, and believe Commissioner Putnam will make a great governor." Publix has backed Putnam since his first race as a 22-year-old, a successful campaign for state House of Representatives in 1996. It wrote Putnam a check for $500, according to state records. The more recent contributions came as Putnam oversaw regulation of the company's 785 stores. The Department of Agriculture and Consumer Services that Putnam leads conducts health safety inspections at grocery stores. It also handles consumer complaints directed at food businesses, including supermarkets. At the time, Putnam said the grading system was "unclear" because a failing grade didn't necessarily mean the store needed to be shut down. He defended Publix, the state's largest private company, to WFTS-Channel 28 as an "industry leader" that "ought not be mislabeled based on minor infractions." "This approach allows the public to better understand the results of an inspection," Department of Agriculture and Consumer Services spokesman Aaron Keller told the Tampa Bay Times this week. Putnam's ties to Publix are more than geographical. The chairman of Putnam's political action committee, Florida Grown, is Justin Hollis, whose last name is nearly as synonymous with Publix as "Jenkins." His great grandfather William M. Hollis was a vice president at the company and his grandfather, Mark Hollis, served 12 years as president and later as vice chairman. Another relative, M. Clayton Hollis Jr., retired in 2012 after 40 years there, and has donated $29,000 to Putnam. Putnam's PAC has paid Justin Hollis' consulting firm, Silloh Consulting, more than $1 million this election season. Putnam has raised more than $22 million so far. His primary opponent, Rep. Ron DeSantis, has brought in $8.3 million through April. DeSantis has not enjoyed the same support as Putnam has from Florida's largest industries. 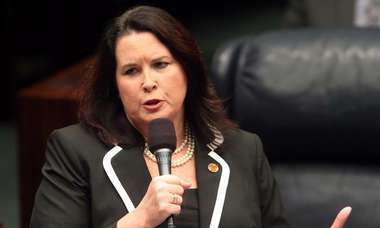 Political Action Committees like FRF Political Committee, Florida Jobs and Florida Prosperity Fund have given millions of dollars to Putnam from a war chest made up of six-figure contributions from Florida Power & Light, U.S. Sugar and others. Publix has donated to these PACs as well. The grocery chain gave nearly $1.5 million in the past 18 months to various PACs that have steered $2.1 million to Putnam. Unlike energy companies and sugar conglomerates, though, Publix is a popular brand beloved by many Florida shoppers for its clean stores, customer service and cult favorite deli counter "Pub Subs." The company's growing presence in political campaigns and lobbying in Tallahassee hasn't generated the same attention as other corporate leaders. 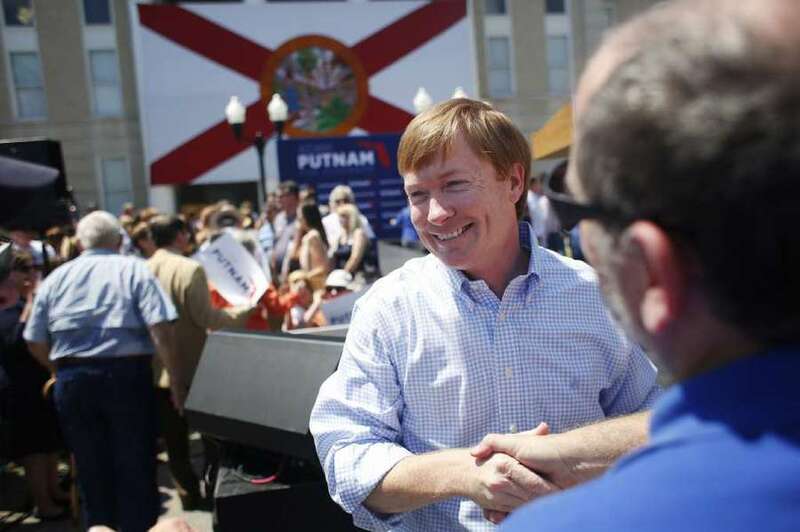 Indeed, while DeSantis has criticized Putnam's close relationships to the sugar industry, his campaign declined to comment on the Publix donations. But Publix has followed in the footsteps of its business peers that have increased political giving since a U.S. Supreme Court ruling opened the doors to unlimited corporate spending in elections. In 2000, the company gave about $200,000 to campaigns. In the 2016 elections, it topped $2 million in contributions. Mostly, the company gives to business-aligned political action committees or statewide parties. When Publix gives to candidates, it's typically just a check for $1,000. But Putnam's political committee, Florida Grown, has received $410,000 from Publix, including $250,000 in the last nine months. At $85,000, Sen. Wilton Simpson, R-Trilby, is the next highest recipient of the company's financial support. "Let's Get to Work," the PAC aligned with the man who Putnam hopes to replace, Gov. Rick Scott, received $50,000. Publix's former CEO and board member Howard Jenkins, the son of company founder George Jenkins, gave Putnam $78,000 this campaign cycle. In 23 years, he has only given $22,000 to other candidates. His brother, David Jenkins, chipped in $50,000, and brother-in-law and Publix Charities Vice President Hoyt Barnett gave $103,000. Other family members and board members have donated $6,000. "Adam Putnam is proud to have strong support from one of Florida's most well-known and well-respected businesses that provides more than 100,000 jobs for hard-working Floridians," Putnam spokeswoman Amanda Bevis said in a statement.